Today we’d like to introduce you to Marybeth Shanahan. 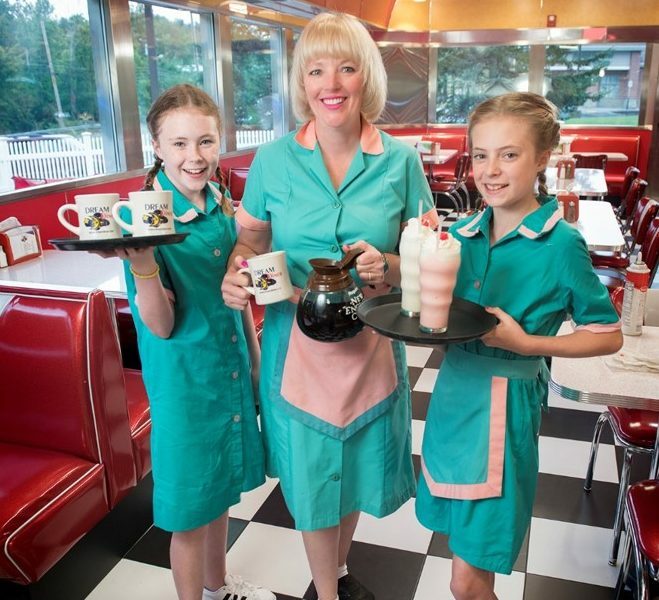 I started working in my family’s diner business when I was 10 years old. I continued working in the business through my high school and college years. While starting and operating a general construction company together with a successful travel business I continued to work in my family’s diner business. Still having a passion for diners and dreaming of owning my own diner I saw an opportunity to open a diner in Tyngsboro in 1997. Now here we are 20 years later and I finally made my dream complete. I added to my existing building a stainless steel diner and expanded our seating. Being in the restaurant business challenges you all the time. So let’s switch gears a bit and go into the Dream Diner story. Tell us more about the business. Our diner is different than a lot of other service industry businesses. We make you feel at home and welcome you as soon as you walk in the door. I have embedded in my staff- great customer service. we only hire happy people. I always say: (that anyone can be an order taker) we want to give you an experience, not just take your order. We are famous for our 14 different eggs benedicts- 40 omelets (pastrami and swiss the favorite) homemade cinnamon rolls french toast, sweet potato pancakes, chicken pot pie, turkey dinner, meatloaf and much more!! I only see my business growing from here since we added more seating. There is a lot of competition out there. As long as we keep focusing on quality of food, customer service and a clean place I think we will be successful. Hi, this is Charlie from the Avanti car club. We are planning on attending the car show tomorrow, and was wondering if you could save us enough space to park four cars together. It’s about a two hour drive for a couple of us, and we wouldn’t be arriving until around 9. I am planning on calling in the morning to make sure the show isn’t canceled due to rain.